At her farm sanctuary in Pennsylvania, Ashley DiFelice cares for rescued horses who were once about to meet an unimaginable fate for horse lovers: getting shipped off to a slaughterhouse. She’s been rescuing horses from feedlots and auctions since 2012. While horse slaughter is outlawed in the United States, many of the country’s horses are shipped over borders to facilities in Mexico and Canada. Between 2012 and 2016, according to the ASPCA, an average of 137,000 American horses were trucked over U.S. borders each year to be killed for meat. 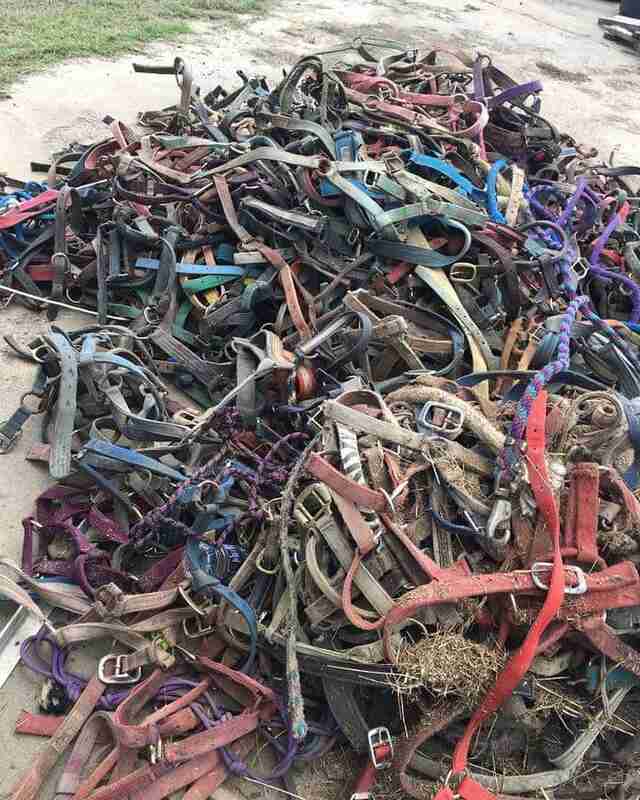 When DiFelice recently saw a Texas feedlot post a photo of a mound of empty horse halters — the only thing left of a round of horses freshly shipped to slaughter — she took to social media to share a reminder of the sad reality she sees with each rescue. The feedlot later removed the photo, presumably due to public backlash. According to the Humane Society of the United States, horses are typically shipped across borders without food, water or rest for more than 24 hours at a time. Due to overcrowding within transport trailers, many are seriously injured or killed in transit. Skittish by nature, especially when placed in an unfamiliar environment, horses are often not stunned properly before slaughter — meaning some may remain conscious throughout the process. The last remaining U.S. horse slaughterhouses — two in Texas and one in Illinois — were closed in 2007. The year before shutting down, these facilities killed and processed more than 104,000 horses for human consumption, shipping the meat overseas to countries like China, Japan, Germany and Switzerland where horse meat is considered a delicacy. Now happily grazing in their pastures and spending quality time together, DiFelice’s eight slaughterhouse rescue horses are living a life that’s a far cry from the neglect they experienced before coming to the sanctuary. Some were extremely emaciated — like Phoenix, an 18-year-old American saddlebred — or worked to the brink of collapse, like Everest, a 15-year-old ex-carriage horse. 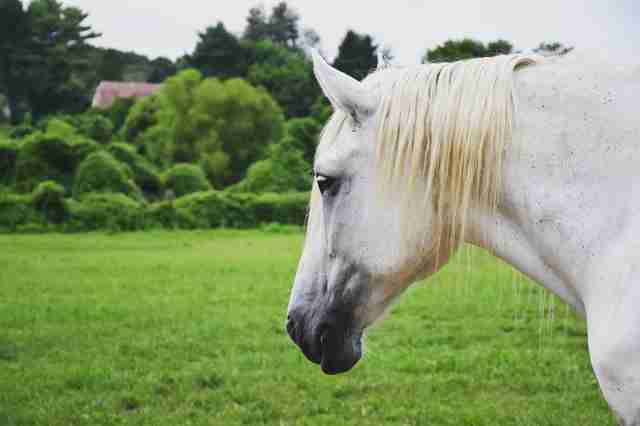 The horses who end up at auction are usually unwanted pet horses with physical ailments, or work horses who are too old to be of use to their owners. They’re sold off at a cheap price to kill buyers or traders. But most of these horses still have years left to their lives, DiFelice told The Dodo, and simply need to recover from years of being neglected or overworked. While the slaughter shipment of horses is currently legal in the U.S., legislators proposed a bill in August that would prohibit the sale and transport of American horses with intention for slaughter. 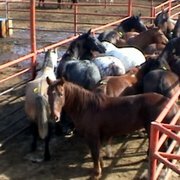 But until a federal ban is put in place, domestic and wild horses are not protected from the industry. 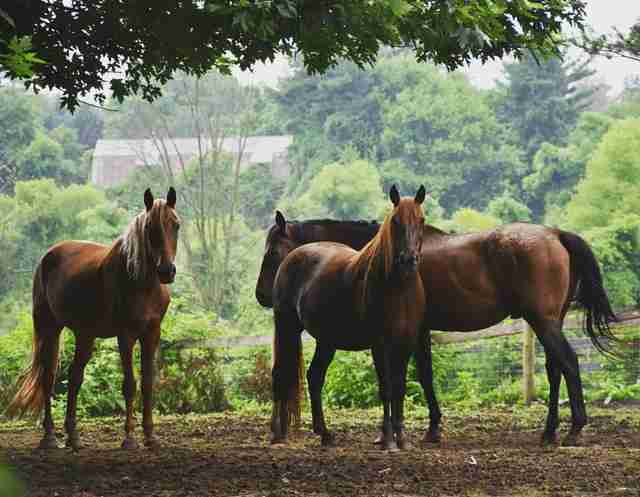 To help support future horse rescues, you can make a donation to Twist of Fate Farm Sanctuary. You can also send a message to your congressmen asking them to support the ban.